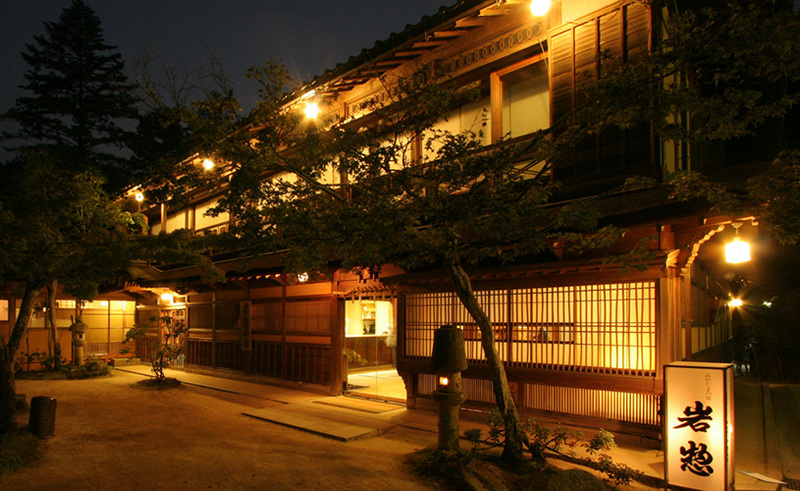 Welcome to Arashiyama Benkei a Traditional Ryokan. Arashiyama Benkei was a Heian Period (794 to 1185) country estate once used by vacationing court nobles. Arashiyama remains famous for Ukai, an ancient method of catching Japanese trout using trained cormorants birds. Kyoto ryokan Arashiyama Benkei's location at the foot of Mt Arashiyama in Kyoto allows our visitors to experience the beauty of the changing seasons. A traditional Japanese ryokan, Kyoto Ryokan Arashiyama Benkei's esteemed guests include the King of Denmark, who planted a yellow pine in the Japanese garden in 1930. Arashiyama Benkei has long been associated with the famous Tenryu-ji Temple located nearby. This was our first Visit to Japan, when we finished our tour with this ryokan. It was an amazing experience from the moment we entered the hotel till we left. Its’ a small and cozy hotel, with an extremely welcoming staff; Simple and impeccably clean room with a beautiful view. The weather was quite cold but we still went for the outside Onsen that we reserved for ourselves for an hour, which was an amazing experience . Food was great. Everything exceeded our expectation by far. Definitely a place to recommend. Excellent room with a beautiful view of the river. One day is not enough to enjoy and drown into the serenity of the place. We enjoyed the family bath that can be booked privately. That was an excellent choice.hospitality was excellent.people communicate in English at the reception but in the room while they serve food they only speak Japanese, that was a little inconvenient as being an Indian I was not aware of how to eat what and also the names of the food. Even though our staff tried her best to communicate she also brought her phone to communicate through pictures, that was not enough. Being an Indian used to food cooked completely,I didn't like the authentic Japanese food especially the uncooked meat or fish. Overall the experience was great but I feel it's quite pricey.. But all Ryokans are pricey. This was our first experience of a Ryokan and a wonderful place to start...the service was impeccable and although we spoke very little Japanese, we were able to communicate quite well with everyone there...the food is beyond description, dish after dish of incredible tastes and colours. Yuri is one of the girls who works there and she is just gorgeous...always smiling and attentive and wanting to help. We didn't quite know what to expect and wish we could have stayed longer...the area is great for shopping and the monkeys are pretty cool. If we ever went to Japan again, we would go back here. We also took our two boys, 11 and 14 years and they loved it. We had a wonderful stay in spite of a typhoon that drenched Kyoto for three days. The hotel stay was fabulous and made sure that we were well taken care of. This hotel is right on the river and we had a great view from our room. The service was impeccable and everything was extremely clean. Our beds were very comfortable and when the ladies set up the beds, it was like watching the creation of a work of art. The hot bath was wonderfully warm and I impeccably clean. I would definitely stay here again. I was traveling with two 20-something family members and they loved it! My boyfriend and I had the most wonderful experience here. We arrived just a few minutes before a typhoon struck the Kyoto region, and we were not able to go outside until the next morning. However, we did not mind one bit because our room was so beautiful and we had a river view - we stayed up late watching the rain and wind by the window and it was absolutely a magical evening! The service was impeccable (no detail was forgotten), the food was excellent, and I wondered how the staff could possibly attend to everyone at the ryokan with such precision and courtesy. I will definitely be staying here again, hopefully sooner than later! Our family spent a wonderful night at the ryokan. We had two rooms for the four of us with private bathrooms. An amazing dinner and breakfast were served in a private dining room overlooking the lovely garden and river beyond. We loved the private onsen where flutters of snow made their way down as we bathed. The staff were very attentive and made us feel very special. Highly recommended for the ambience, decor and overall experience. Best ryokan I've ever been to! We loved absolutely everything about this ryokan! We paid up for the largest room & felt so spoiled with our own private outdoor bath. We also went down to the stunning communal onsens downstairs - the women's has an indoor AND outdoor section! I had the whole thing to myself the night we were there so make sure you pop down & check it out even if you're a bit shy. The food was beautiful, service was lovely. They spoke enough English to easily get by. My boyfriend ordered a massage up in the room & said it was fabulous. Highly recommend - sublime experience. Although we are of Japanese descent, my cousin had never visited Japan and she wanted to a traditional Japanese experience. This ryokan was perfect for what we were looking for. The setting was so beautiful and the cherry blossoms were at their peak at the nearby temple. The food was perfect and the furo was very soothing and relaxing after a long day of walking. All the staff were very considerate and polite. This was also a wonderful way to get away from the huge crowds at all the Kyoto sites that we saw later. Very peaceful and enjoyable experience. This is our first time stay in ryokan and we choose to stay here instead of the common hotel as to just experience the Japanese culture/stay. Service was excellent and we got the garden view room. The dinner was wonderful and you can see and feel how great it had been prepared for you. We tried the private onsen as we are not brave enough to go to the public one :). All these are great experience to us and it live up to our expectation. If I am to visit this area again, will definitely stay there.